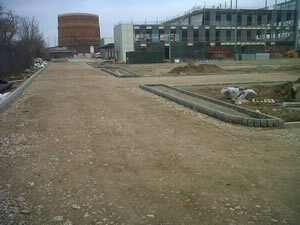 When it comes to groundwork services and bulk excavation there is only one name you should trust – Byrne & King. As one of Wiltshire’s leading construction and building companies, we specialise in effective and first class earthwork. From excavation and digging foundations to drainage and trenchwork, we have got groundwork services covered. Having worked in the construction industry for more than 17 years, we are perfectly placed to meet any domestic or commercial groundwork requirement. Our experienced and highly skilled team offer a fast, efficient, safe and high quality earthworks service and utilise a range of our own plant equipment. In specific cases, we make the most of our strong relationships with plant hire companies to deliver exactly what our clients need. Indeed, our attention to quality and delivery of service in a safe and professional way has built many long term and repeat business relationships with clients, as well as suppliers. That means that we can provide a wide range of high quality plant equipment from companies such as A-Plant, Speedy, MGF, Hewdens, HE Services, Marwood and Site Equipment Ltd.
Our dedication to continually achieve exceptional results speaks for itself and you can be sure that every job, whether a small domestic task or a large scale commercial groundwork project, is undertaken with safety and efficiency in mind. Based just outside Swindon, we provide our groundworks services to domestic and commercial customers across Wiltshire, the Home Counties and the South East, including Swindon, Bristol, Gloucester, Cambridge, London, Newhaven, Portsmouth, Bognor Regis, Sussex and along the M4 Corridor. Whether you need a new drainage system installed at your commercial or domestic property or just need some foundations dug, speak to the groundworks experts here at Byrne & King. Contact us today to discuss your requirements with one of our helpful and friendly team. 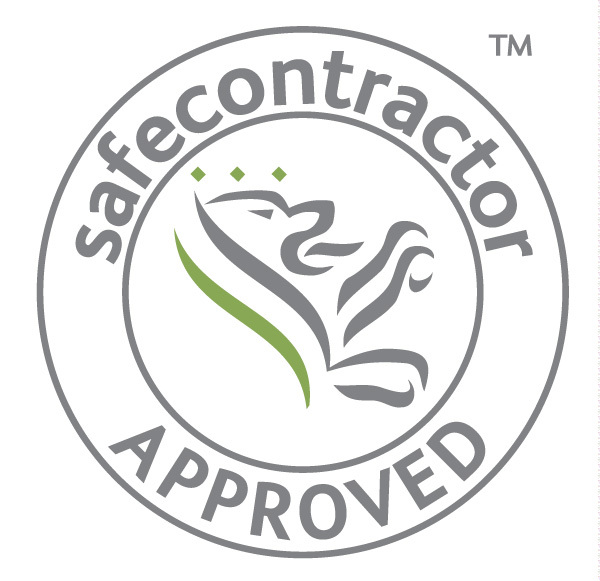 December 2012 - Byrne & King Ltd. are delighted to announce that we have been awarded accreditation to Safe Contractor for our commitment to achieving excellence in health and safety. While our primary focus is on expert construction and groundworks provision, we do also offer our domestic and commercial customers a unique plant hire service. Available with or without our experienced operators, our plant hire service is ideal for large scale commercial construction projects and is very reasonably priced. If you would like any more information about our services, please visit the other pages on this website. Alternatively, feel free to contact one of our helpful and friendly team.